BANNU/PESHAWAR: Within only a few days of the suicide attack on the Awami National Party (ANP)’s corner meeting where its central leader and election candidate Haroon Bilour was martyred along with 19 others, another political party comes under fire in Khyber-Pakhtunkhwa (K-P), this time the Jamiat-Ulema-Islam-Fazl (JUI-F). 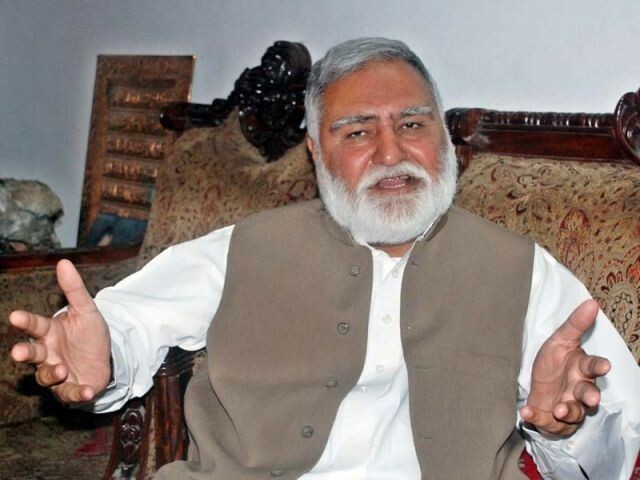 A corner meeting of former K-P chief minister Akram Khan Durrani was rocked as an improvised explosive device (IED) planted in a motorcycle some 50 metres away from the ground exploded in Bannu on Friday. The attack targeting JUI-F’s central general secretary has so far resulted in four casualties with as many as 39 injured. However Durrani, who is contesting for NA-35 under the Muttahida Majlise-e-Amal (MMA), remained unhurt in the attack. 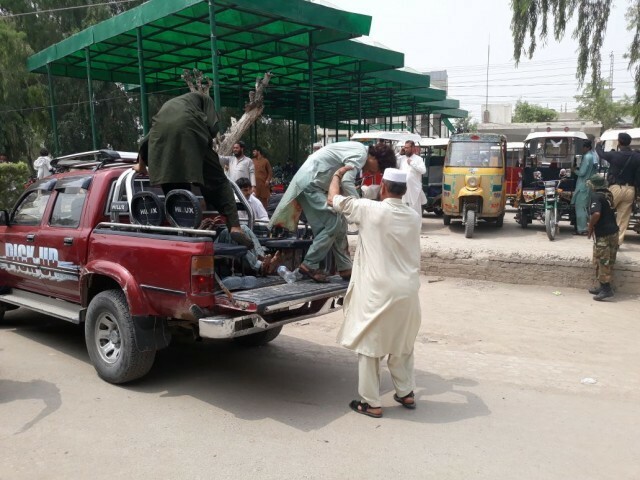 The injured were rushed to Khalifa Gul Nawaz Hospital and a large contingent of law-enforcers reached the site of the incident. In a video message released hours after the attack, Durrani reminisced that this was the second incident targeting him. “We are intimated that there are threats but we remain unaware of the forces that threaten us,” said the election candidate referring to media reports of his life being at risk. “I would like to ask the media if they know about the threats then please reveal those behind them,” he appealed. He said the only reason he remained unharmed was because he was travelling in a bulletproof vehicle. In 2015, at least two people were killed and three others injured in a remote-controlled bomb attack on Durrani’s convoy in the Narmikhel area of Bannu. He was returning from Bakka Khel, Frontier Region Bannu, where he had attended a JUI-F congregation, when his convoy came under attack. The attack comes only days after ANP leader Haroon Bilour was assassinated in a suicide attack at a corner meeting that killed 19 others and injured over 60 people on June 10. While talking to the media after the blast former CM Durrani said, “our party chief and I was attacked several times before, but the state failed to identify the forces behind the attacks”, adding that civilians are heartbroken after repeated attacks on political figures. He asserted that country’s stability lies in democracy and called the attacks an attempt to sabotage the democratic process and election. “Suicide attacks on me or other political figures will harm electioneering but I am confident I will beat Imran Khan by a margin of 70,000 votes,” the MMA candidate claimed, adding that even in the event of his death he wouldn’t want the polls to be delayed. 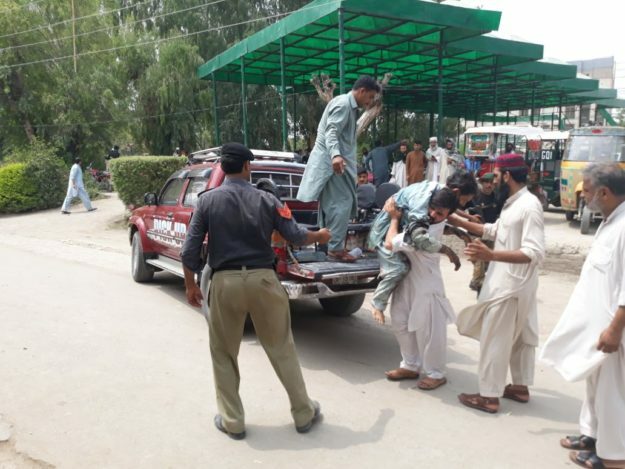 Caretaker Chief Minister of Khyber-Pakhtunkhwa Justice retired Dost Muhammad Khan formed a seven member joint investigation team to investigate the Bannu blast and asked the investigation team to move immediately to discover actual motives and nab the criminals as soon as possible. However, he wished to formally request political leaderships to decide on their own not to conduct more than one engagement in view of the growing security concerns. The holding of more meetings means thinning out of security resources that could weaken the overall security shield. The cabinet was briefed about the investigation of the Yakatoot bomb blast. The caretaker CM directed to immediately complete the geo fencing of both the Peshawar and Bannu attacks. He said that on his insistence the federal government agreed to the repatriation of 86 platoons of Frontier Constabulary that constitute 3338 security personnel. Another 500 trained police officers of Azad Jammu and Kashmir police ordered by the federal caretaker interior minister would boost the security situation in the province.